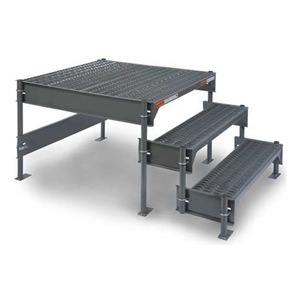 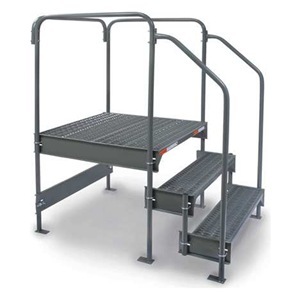 Maintenance Work Platforms allow you to choose the style, height, and configuration that perfectly meets your commercial or industrial application. 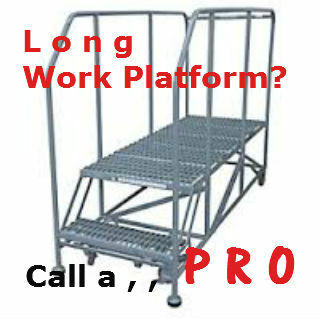 Our WORK PLATFORM have a 500 lbs. 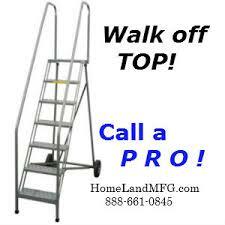 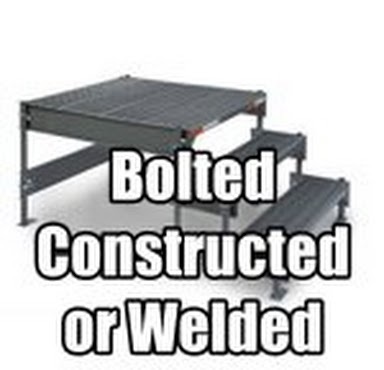 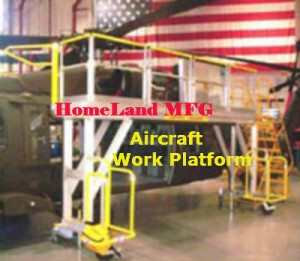 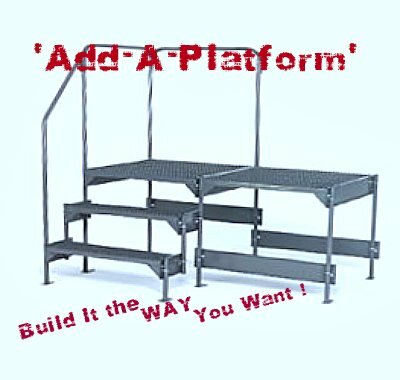 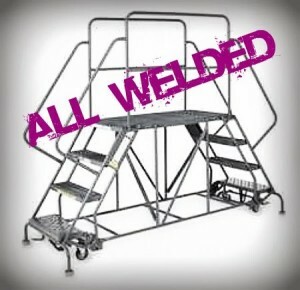 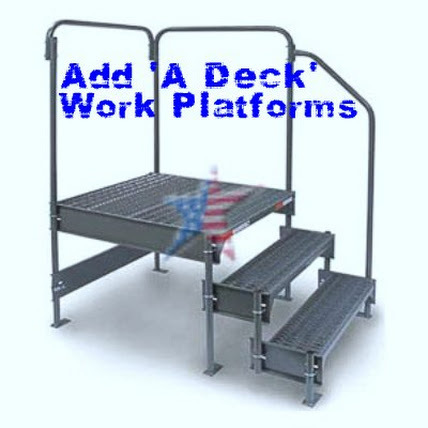 capacity and can be Modular or All Welded.. All meet or exceed OSHA standards. 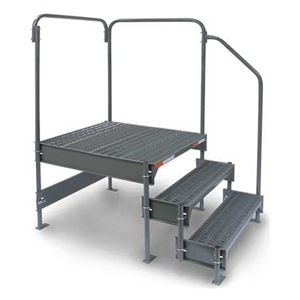 800lb capacities and LARGER are available too. 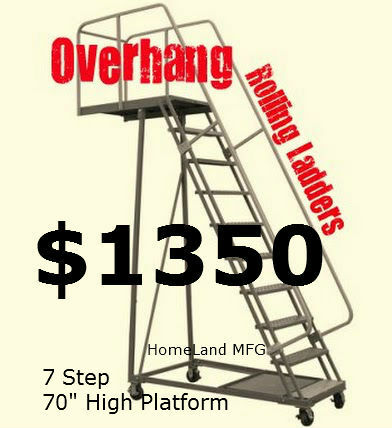 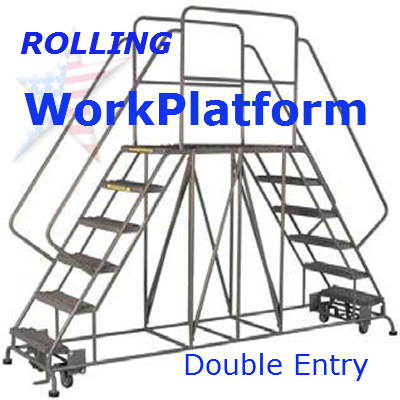 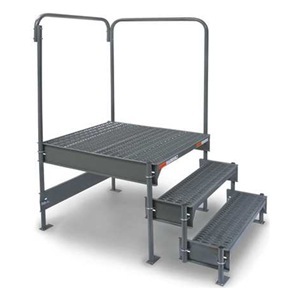 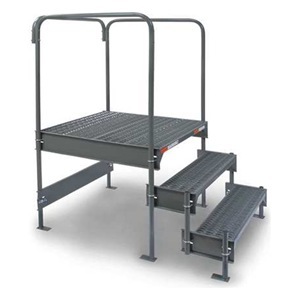 Rolling Ladders, Cantilever Rolling Platforms, Double Entry Rolling Ladders, Rolling Platform Ladders, Overhang Work Platforms. 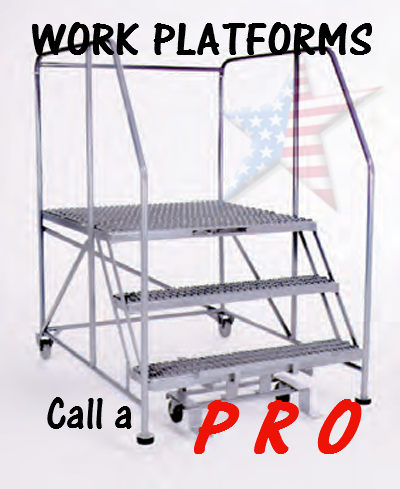 All OSHA Compliant. 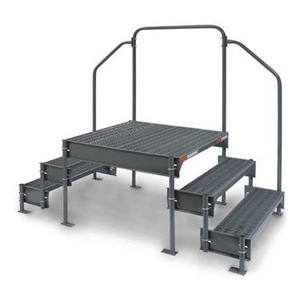 Features technologically advanced Grip Strut® tread for slip resistant footing.